Evaluate the main etiologies and clinical characteristics of male urethral stricture disease (USD) in Brazil. 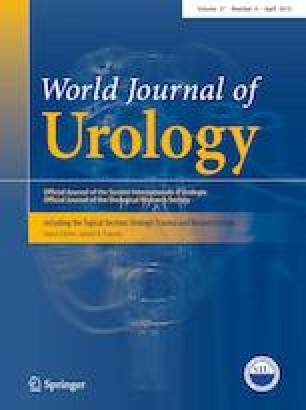 This multicentric study was performed using retrospective data collected from six Brazilian referral centers of urethral reconstruction. The database comprised data from 899 patients with USD who had undergone surgical treatment from 2008 to 2018. Age, stricture site and primary stricture etiology were identified for each patient. The mean age was 52.13 ± 16.9 years. The most common etiology was iatrogenic (43.4%), followed by idiopathic (21.7%), trauma (21.5%) and inflammatory (13.7%). Of the iatrogenic causes, 59% were secondary to urethral instrumentation (60% by urethral catheterization and 40% by transurethral procedures), 24.8% by other procedures (prostatectomy, radiotherapy, postectomy) and 16.2% by failed hypospadia repairs. Pelvic fracture urethral distraction injuries were responsible for most of the trauma-related strictures (62.7%). When stratified by age, the most common stricture etiology was trauma in the 0–39 years old group (42.8%), idiopathic in the 40–59 years old group (32.4%) and iatrogenic in patients over 60 years old (68%). In regard to the stricture site, 80% presented with an anterior urethral stricture and 20% with a posterior stenosis. In the anterior stenosis group, the most common stricture site was bulbar (39.5%). In Brazil, as in many developed countries, the most common cause of urethral stricture diseases is iatrogenic, especially urethral catheterization. These findings emphasize the need of a careful urethral manipulation and a better training of healthcare professionals. Trauma is still responsible for a great proportion of strictures and inflammatory etiologies are now less frequently observed. RHA: data management, data analysis, manuscript writing. BRL: data management, manuscript writing. RKK: data collection. ACD-F: data collection. JB: data collection. AGC: data collection. SFX: data collection. RPB: data management, data analysis, manuscript editing. JJG: project development, data collection, data analysis, data management, manuscript editing.